Liquid carbon dioxide has an excellent ability of endothermic cooling and inhibition on coal fire, which was an effective coal spontaneous combustion prevention technology. 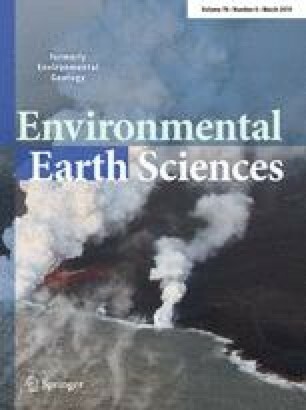 To analyze the oxidation characteristics and variation of apparent activation energies, a carboniferous–permian coal sample was investigated in O2/N2 and O2/CO2 atmospheres by the coal spontaneous combustion oxidation and the Fourier transform infrared spectroscopy experiments. The results indicated that with temperature, carbon monoxide (CO) concentration and oxygen (O2) consumption rate increased. While O2 concentration decreased, CO concentration and oxygen consumption rate reduced. At the same O2 concentration, the oxygen consumption rate and CO concentration on the O2/CO2 atmospheres were less than on the O2/N2 atmospheres. Therefore, O2 concentration reduced, or added CO2 significantly inhibited coal oxidation. As the temperature elevated, the apparent activation energy gradually increased. Furthermore, the apparent activation energy increased when the oxygen concentration reduced in the physical–chemical adsorption stage and the slow oxidation stage. In the rapid oxidation stage, the apparent activation energy lessened with increase in oxygen concentration. Through correlation analysis, the key functional groups in the physical–chemical adsorption stage were hydroxyl, C–O, –COO–, and aliphatic hydrocarbons. During the slow oxidation, the key functional groups were –COO– and aliphatic hydrocarbons. The key functional groups in the rapid oxidation stage were hydroxyl and C–O. This work was supported by the National Natural Science Foundation of China (nos. 5157-4139, 5160-4215, and 5180-4247).